Sadly, no. It was an act of self-expression. UGH. I get this. It’s been worse since I’ve had more time, too. I’m about to swing back toward being excessively busy again. We’ll see if that motivates me to write more. Wow–you are the female Weird Al Yankovic. Or is he the male you? Procrastination is my middle name according to my family. I have no plans to change it since it works so well for me. Am I the only one that can see through the hiker’s pants? 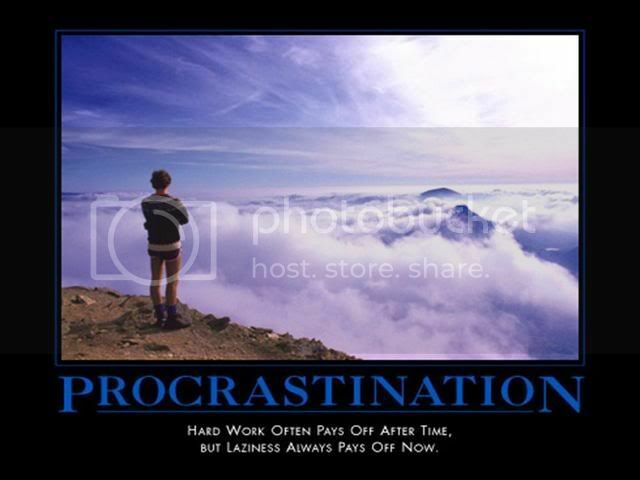 Procrastination is like a cultural characteristic of Brazil. We all know we do it, we all do it, we all hate it, and we all keep doing it.